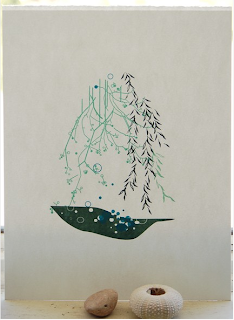 a lovely willow print by etsy seller yoo_ii. a nice delicate design to start the morning off with. Not only pretty but very very very pretty. It's not like a toilet paper.